Steve Soulsby, the owner of a Persimmon house of horrors, was so shocked by the experience of buying a new build that he has set up a website to share his experiences with prospective buyers. Steve says that the houses have been thrown together as quick as possible without regard to quality, the focus is on getting the next house built so that they bring in the money on the sale. There is a complete disregard for customer satisfaction and no interest in generating repeat business. He goes on to say that Persimmon (Archive) are interested in one thing only, money! My personal experience of Persimmon is the same as so many people on this new estate. The houses have been thrown together as quick as possible without regard to quality, the focus is on getting the next house built so that they bring in the money on the sale. There is a complete disregard for customer satisfaction and no interest in generating repeat business. Persimmon are interested in one thing only, money! As with most others on this site I have a large snagging list which is months old and growing faster than it is worked on. These snags are more to do with build quality than build materials. For example, all of my concrete floor downstairs looks like it was laid by a two year old with a rolling pin. The main problem however is that despite having two en-suites and a family bathroom and being told by Persimmon that I have a mains pressure hot water system, if I run a cold tap whilst the shower is running I will scald someone. This is especially worrying as I have two small children. Complaints have been ignored over and over again. These properties are all 3 to 5 bedroomed detached family homes. These ties hold down the garage roof, but this one has no screws! I am constantly told by Persimmon that I am the only one with a problem with the water pressure. The strange thing is that everyone else who complains about this is also told they are the only one! Persimmon sent an “expert” from the company who installed all of the heating and water system in these houses to look at the problem. The company is Avonside Heating and Plumbing. He informed me that they were the biggest installer of heating in the UK and only work on new build properties. So consequently one of their biggest customers is Persimmon. His report said there was no problem, but it confirmed my incoming pressure is 2bar – in my experience you should have 4-6bar. He never checked the shower problem and only confirmed the water pressure because I had a pressure guage set up already. He sat in my living room drinking coffee and complaining about Persimmon being “too big for there boots” and that they think they are “untouchable”. they could be that bad. Wow we were wrong. We were promised carpets then when we asked about them 2 weeks later she said “I don’t remember saying yes to that, we can’t just give things away”. The paint work is atrocious you can lean on it and it just crumbles, my 2 year old could of done a better job, cracks in tiles, dips in kitchen floor, then the nice letter we got through saying we owed them £1400 and they wanted it all in one sum! (By the way it was their fault) now I have. Offices a crack in the bath which they “can’t replace” because we’ve been in the house for 6 months, I didn’t realise we had to go around every inch of the house with our fingers! I have told a few people not to bother as it is more problem then it’s worth the list goes on, the sales person and the site manager haven’t got a clue and that’s been nice! I really hope that other people read this and others and decide against it, they may aswell use Lego to build the houses! We have been in a persimmon home for 10 Months now and it is not badly built. I can only assume that this is thanks to the local work-force and not Persimmon because the materials used are all the very cheapest you could buy. HOWEVER – on every occasion we have needed to speak to persimmon it has been a nightmare – they simply have no concern for the wellbeing of their customers whatsoever. The managers are rude and ignorant and have no real undersanding of their own industry. I would be ashamed to have them working for my company. We have been waiting for fibre-internet since we moved in and our neighbors have been waiting for over a year. The richer (Redrow) half of the estate had it 6 months ago. Persimmon are still not even accepting that we cannot get it! – they just refuse to accept that we cannot get a fast internet connection – so we are stuck with 0.7MB/s. If you do choose to buy a persimmon home – I strongly recommend you get everything in writing and prepare for a battle. I expect to spend the difference I have saved by buying a smaller home – on legal battles with Persimmon. I am purchasing a home with Persimmon what do you advice me to do to avoid as much as I can any inconvenience. I have already paid for the reservation and This weekend I have an appointment with they mortgage advisor and with Persimmon to sign the contract in regarding to the time of receiving the key and all the stuff that is coming with the building . Persimmon homes have been building 37 homes at the back of our home for the last 18 months they are a shambles the way they throw.the properties together with a lack of skilled labour.We feel sorry for the people buy these badly built over priced dumps.They have no regard local residents and make our lives hell and have done so for the last 18 moths.They have no regards for people or their enjoyment of life .they are also permitted to build what like by W.D.C with total disregard for local residents privacy and quality of life. I have bought a persimmon home in Shaftesbury and as the second owners have had a few minor problems….some poor finishing to mortar joints on outside walls…leaking shower….paintwork repairs. Spoke to site manager and customer service all repairs carried out quickly and to a good standard so all in all very happy with the house and service from persimmon.Used to live in 1980s three bed and the quality of that was terrible,cheaply built,poor finish,cold,damp! I am currently close to completion of my new persimmon home and I have always been under the impression that snags would be done before I moved in, persimmon are now telling me that I move in in December and they will do the snags in January????? The kitchen door doesn’t close properly and they is a hole in my bathroom door which has obviously been damaged by builders. Does this sound normal???? I never thought that I’d be moving in to my brand dream new build with a hole in the door and a door that doesn’t close. Unfortunately this is completely normal for Persimmons, as they are all I can comment on having purchased a new home from them over four years ago, and no longer own it as sold after four years. It took two whole years to get my house up to standard with problem upon problem, some serious some stupidly small but all made such a big difference, and my dream new home turned into a nightmare from hell for two years! Do you think that perhaps less priority is given to the social housing properties, since the builders don’t stand to profit as much from low rent tenancies rather than actual fully paying mortgage payers/home buyers? Isn’t the housing authority responsible for maintenance or communications with the house builder? Buying a new build house from Persimmon Homes is a mistake of life. They claimed to be building affordable homes, its all lies and cheats, and they are deceptively expensive. No show house to physically have a feel of what they are selling…….very bad, very tight small room size. Nearly everything including normal basic things that ought to be inclusive in a new build you will pay for as extras. They NEVER deliver to time; their completion date is all lies, just to tie you in to contract like forcing you to buy their homes. The worst quality homes I have ever seen, terrible customer service, they don’t communicate; you have to chase them. Poor finishing cheap fittings, snagging, time wasters, money wasters. It is worse than a nightmare buying a home from Persimmon House-Builders at Sherborne Fields, Basingstoke, Hampshire. 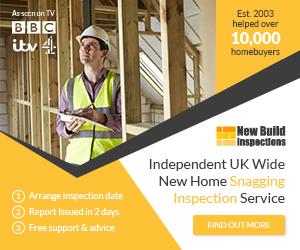 I think in addition to NHBC validating the standard of the homes, there should be an independent body that should be checking the standard and ensure a transparent actions are taken against them if they are not meeting the standard they should be providing. Their performance should truly be measure against other builders and expected standard as an awareness for potential buyers before they are committing to buy. Absolutely zero customer service or interest. Contractors and staff also hate working for them. Sadly I bought a persimmon home last year and am now faced with an issue which is potentially a structural one, with the need for remedial work and some inference that my house may need rebuilding….. Does anyone one have experience of pursuing persimmon for compensation. I so regret buying new build and persimmon. Has anyone had problems with a bedroom over the garage being more cold than the rest of the house? Also unable to control the temperature in the room over the garage due to the thermostat placed in a warm bedroom over the living room. We just had this happened to us and we didn’t even get an apology or any empathy from the company. This is along with all the home issues as well. I was intending to purchase a house from Persimmon homes in Dorset until I began looking into the company. Did you know Persimmon Homes use fake bricks! Yeah, that’s what I thought … “what’s a fake brick?”. Turns out they bought a brick manufacturer in Doncaster to churn out millions of ‘concrete bricks’ – not clay bricks! If you want to know the pro’s and con’s of concrete bricks, I strongly urge anyone to read about it ‘before’ they purchase a Persimmon Home. If you decide to purchase anyway … you’ve only yourself to blame!!! DONE NOT RECOMMEND TO ANYONE!!! BEWARE! They are just complete bullies and pressure you into situations that work best for them. We did a Homechange with them. They pressured us into marketing the property below the value as well as accepting a lower offer in a short space of time. This continued all the way through to looking at getting the best possible mortgage where they again pressured and rushed us into not the best deal for us the customer but what would be best for them. Anyone know who independently you can complain too?